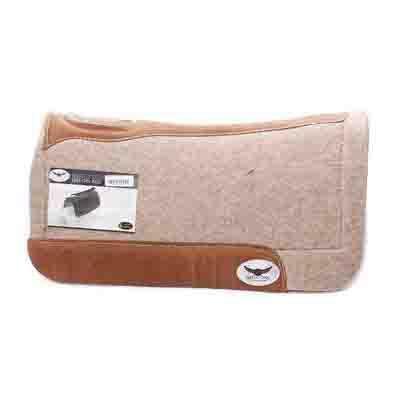 The pad of choice for many horse owners, it offers one-piece contoured design to conform to the horse's build. 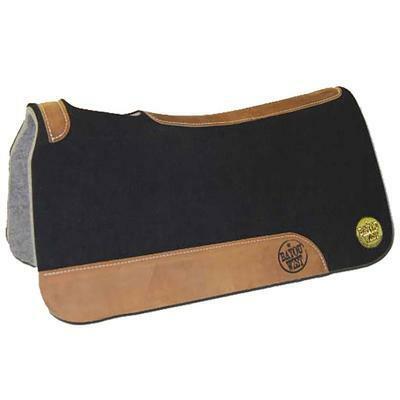 Top quality wool felt with premium leather for the spine, withers and wear leathers. 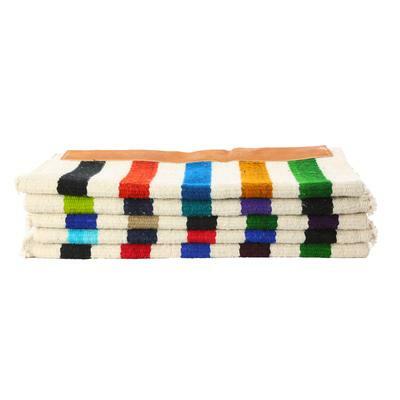 7/8" pad features 1/2" gray wool felt bottom with a top layer of 3/8" black wool felt. 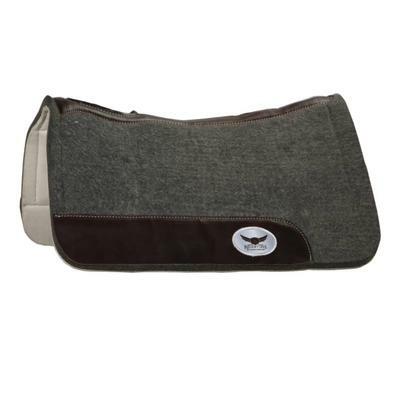 Measures 29" x 29" to better fit your shorter-backed horse. Black. 1/2" gray bottom with 3/8" black wool felt top. Wear leathers, spine and withers.